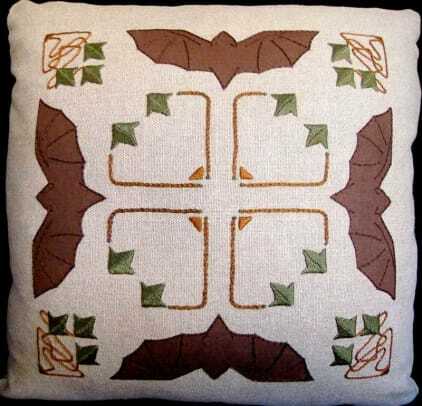 Bats were a big design motif of the Arts & Crafts movement. 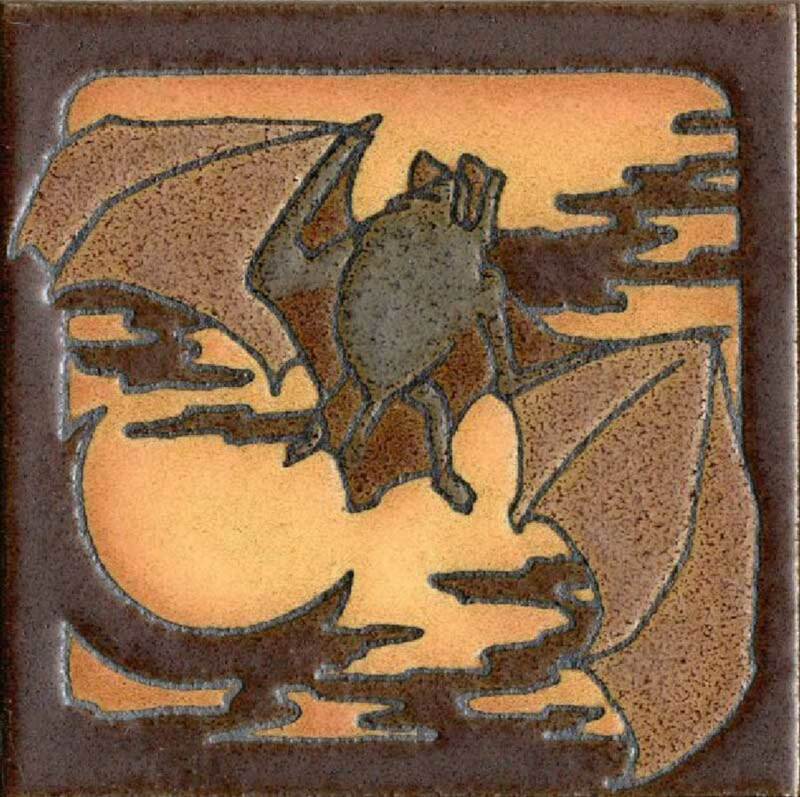 ‘Critter Bat’ is a 6x6 deco cameo tile in a series from RTK Studios. 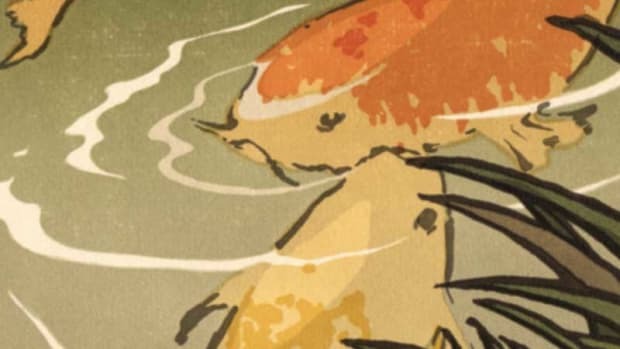 As fascination for oriental motifs spread through the United States and Great Britain, fans, plum blossoms, and ginkgo leaves were everywhere. Other design motifs were less obvious: cracked ice, for example (which signified springtime), as well as the furry little bat. 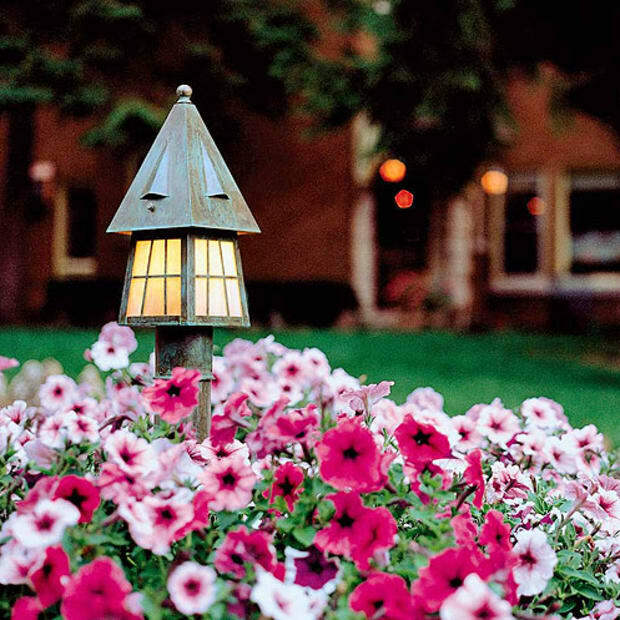 This iron pendant fixture has been reproduced by Rejuvenation. 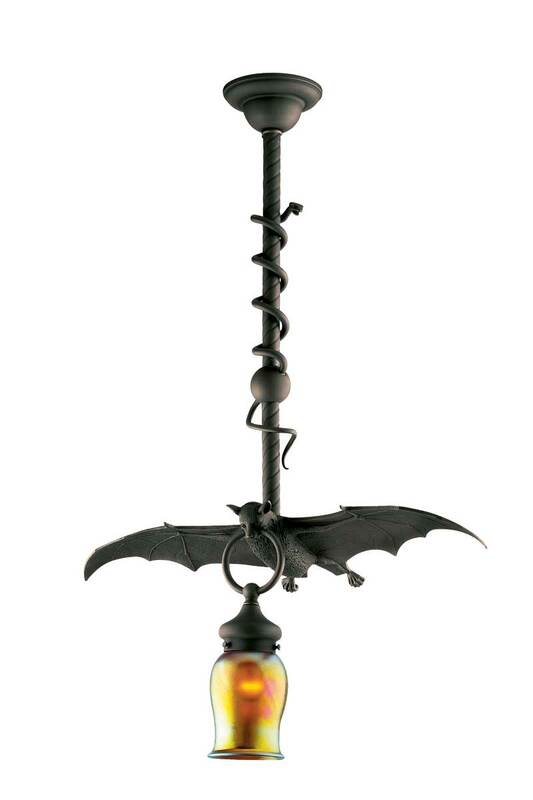 We view bats through a gothic eye, but bats flapped into our lives, decoratively speaking, during the Aesthetic Movement of the late 19th century. Why? In Chinese, the pronunciation of the words for “bat” and “happiness” are both fu. In Japanese, the bat has the same symbol as “luck.” And so the bat is the Asian equivalent of the Bluebird of Happiness. 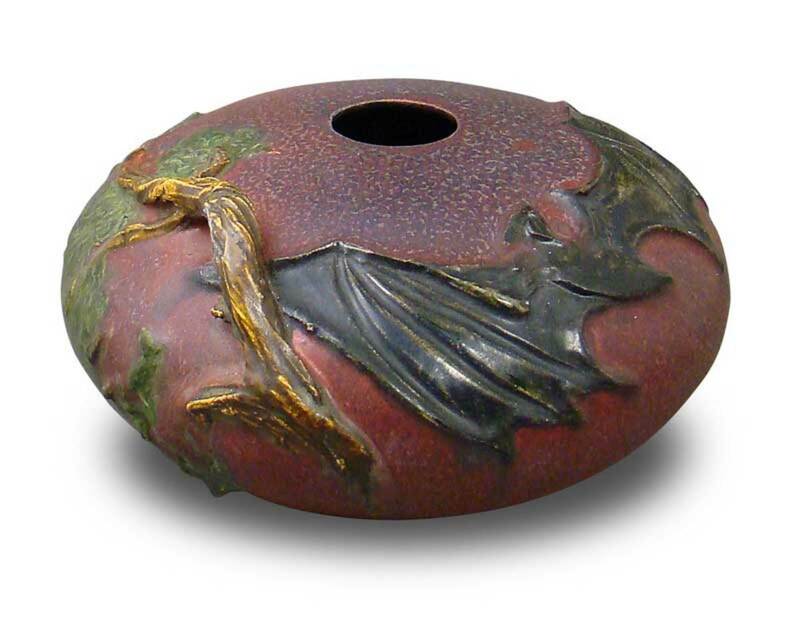 ‘Woodland Bat’ vase in Cranberry, from Ephraim Faience. 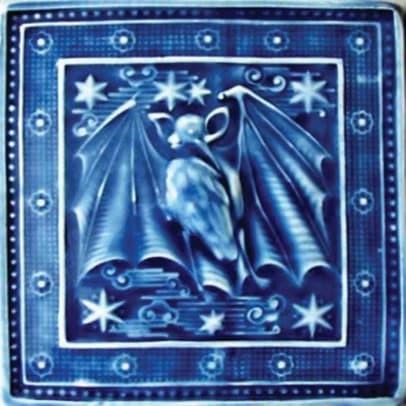 During the 1880s and later, bats appeared on pottery, silver-plated giftware, and occasionally furniture—though not as frequently as did peacocks or cranes. 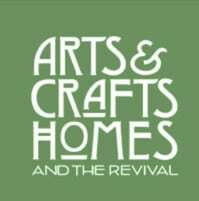 As the Art Nouveau and Arts & Crafts movements (factions of which always seemed to court the night) grew, the bat continued to decorate pottery, jewelry, and lighting. 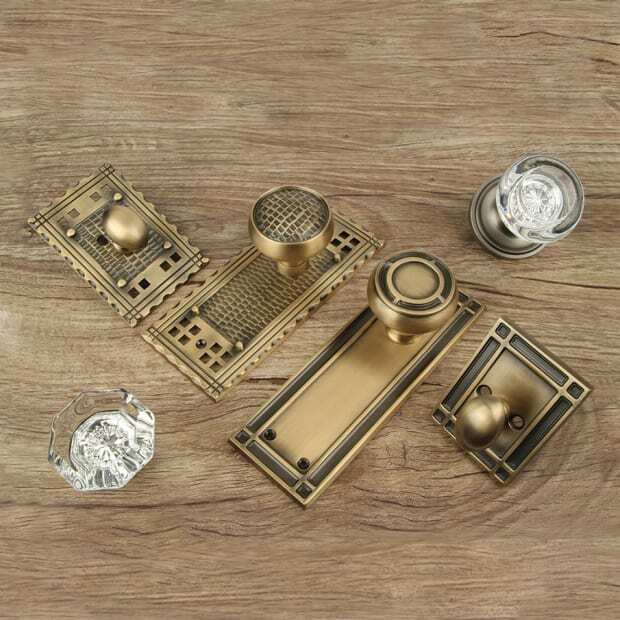 Naturalistic elements fell from favor as Art Deco’s geometry stole the limelight, and the bat was banished to the darkest eaves of the art world, where it lurked until the recent revival. 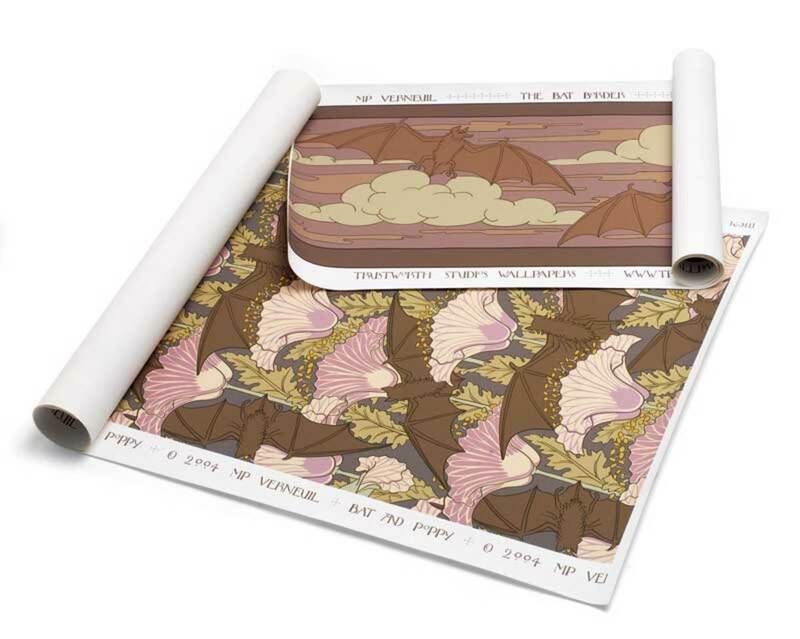 ‘Bat Border’ and ‘Bat and Poppy’ wallpapers are offered in the original coloring by Trustworth Studios. 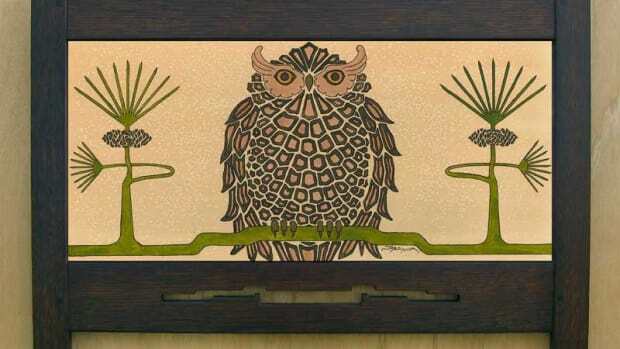 Owls were a common motif in the Arts & Crafts movement. 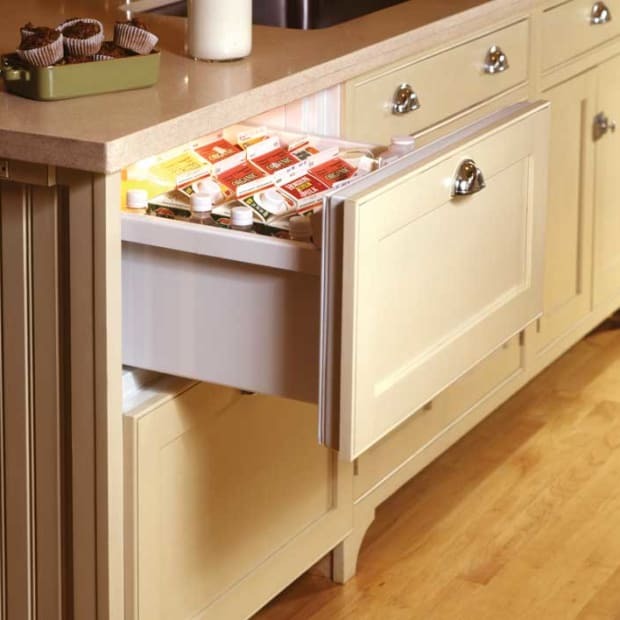 Fish have been used as a decorative element for centuries. 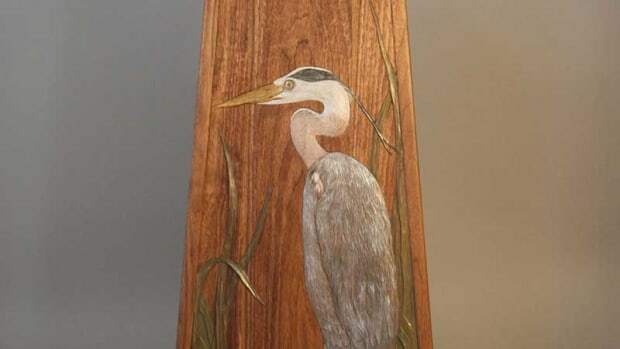 Herons, storks, and other wading birds are a design theme that has appeared in Arts & Crafts furniture and accessories for over a century.